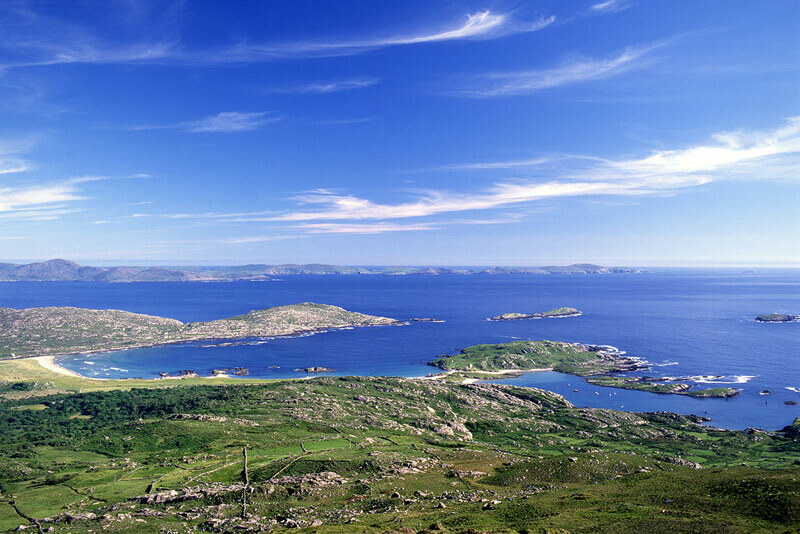 During the tour you will experience outstanding views of Kerry’s majestic coastline which is part of the Wild Atlantic Way. You will also experience panoramic views of the Killarney Valley, it’s lakes and mountains. Of particular interest during this tour will be The Skellig Islands – one of Ireland’s UNESCO Heritage Sites. We will visit The Skellig Centre on Valentia Island, and we will get excellent views of the islands from Valentia. There are many historic sites to be seen during this tour including Ring Forts, the birthplace of Daniel O’Connell and Muckross House, Killarney, once visited by Queen Victoria in 1861. During this tour you will learn about many aspects of Ireland’s history. The effect of the ice age which gave this country the mountains and lakes we now enjoy. Our rich Christian heritage, epitomised by the Skellig Islands. Our Anglo Irish history, Muckross House reflects this and is a prime example of the many fine houses built throughout the country during what we call the Aristocracy Period. The Ring of Kerry is a ‘must see’ route for those wishing to experience Ireland’s beauty, coastline and history. 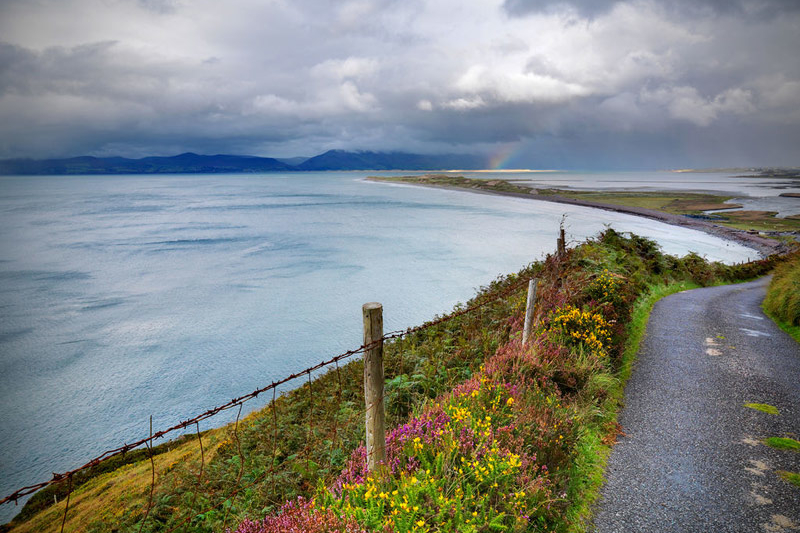 It is one of the primary routes along the Wild Atlantic Way. 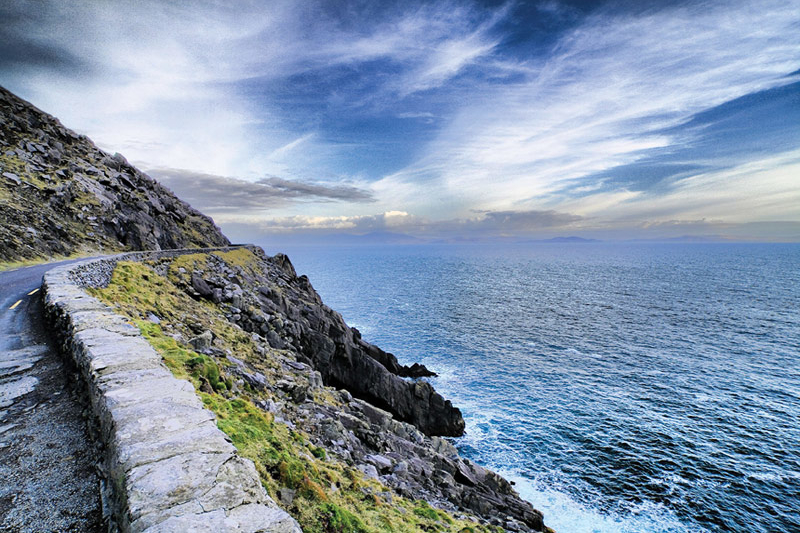 A full day on this route gives the visitor an experience of what Ireland is all about. Join Classic Ireland Guided Tours and gain the benefit of an experienced guide who is familiar with every inch of this beautiful terrain. 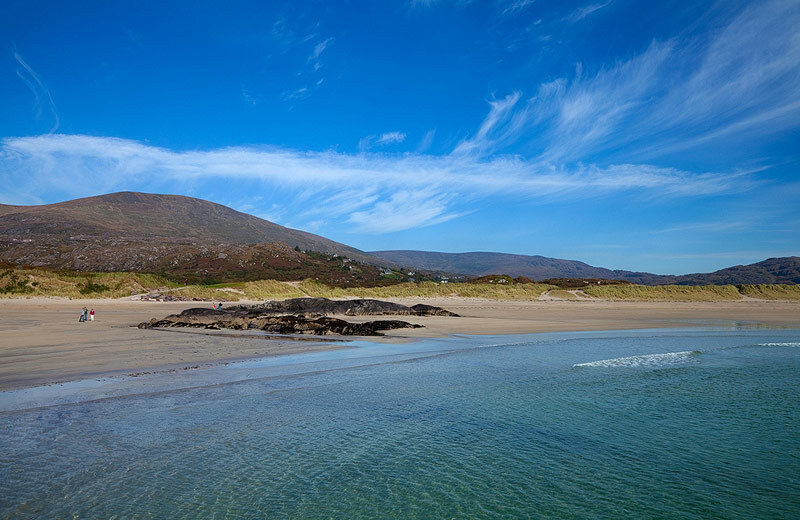 Your tour will travel through the towns of Killorglin and Glenbeigh touching the Atlantic Coastline as you travel west through Cahirciveen. Beyond Cahirciveen your tour will travel to The Skellig Experience, an excellent exhibition on the nearby Skellig Islands, on one of which a monastery was established 1500 years ago. From here your tour will follow The Skellig Ring from Valentia to Ballinskelligs, a route that will afford you unparalleled views of The Skellig Islands. Note: The Skellig Ring is not suitable for larger vehicles. After The Skellig Ring, your tour will travel through Waterville and at Coomakista you will witness dramatic views of the Wild Atlantic Way. The tour will then travel to Sneem and at this point the scenery changes from coastal to inland lakes and mountains. Having passed Molls Gap, your tour will enter the Killarney National Park and at Ladies View you will experience stunning views of the Killarney Valley, its lakes and mountains. The tour will return to Killarney via this most scenic route. 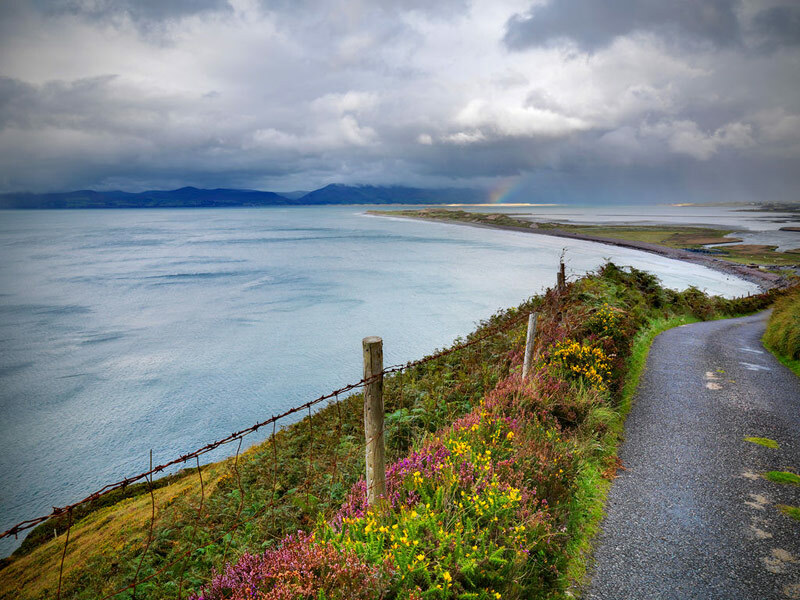 Barry O’Rourke – best guide for Ring of Kerry!